One of the nice things about 3D printing is that it gives you the power to personalize something, make it one of a kind and special. See my earlier blog post titled “The Joys Of Personalized 3D Printing” where I designed a personalized stand for my iPhone. To do something like this you need to know how to use a CAD system. This isn’t something that an average consumer will want to do or even should be doing. At Cubify we realize this and are taking things to a whole new level when it comes to using 3D printing to create personalized things. We recently launched a Cubify app called 3DMe which lets you create a true color 3D printed figurine of yourself (or someone else if you want to gift it them) by uploading two pictures of your face (front and profile) and selecting which character you want to be. The picture below shows how the app works. I have always wanted to learn to play a musical instrument but never got the chance. 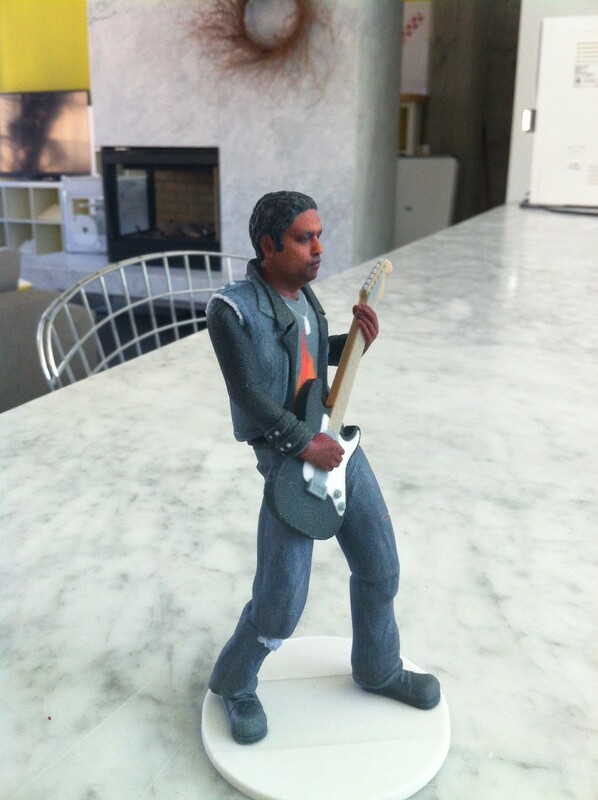 So I picked Rock Guitarist figurine. Next I picked two photos of myself, a front view and profile. The app can work with the front view only. 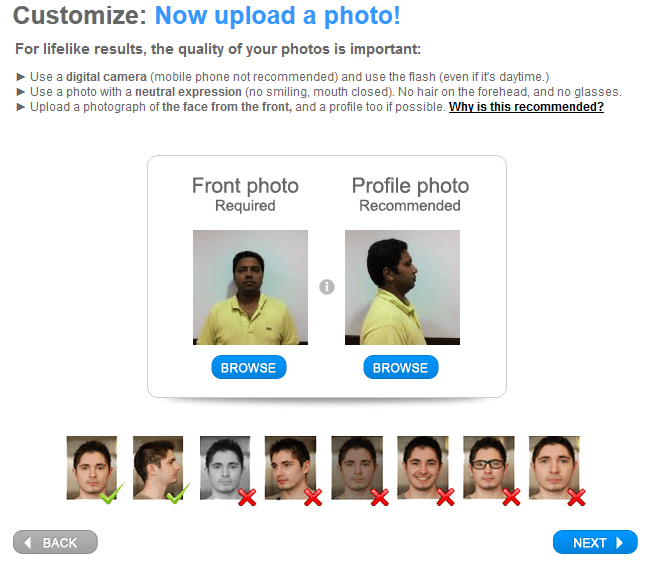 But a adding a profile picture is recommended for better results. As a last step I added a message at the under the base. 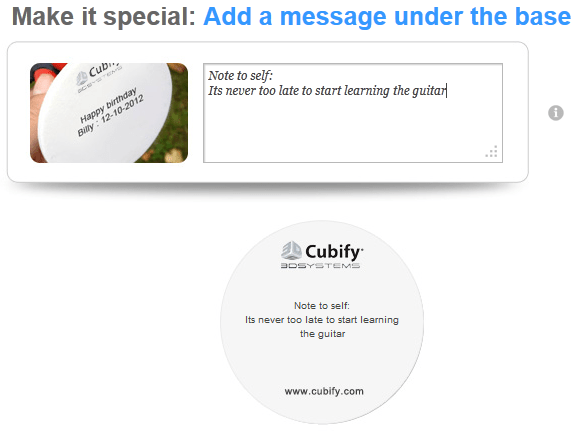 And this is what Cubify came up with. 3D printing can’t get more personalized than this. 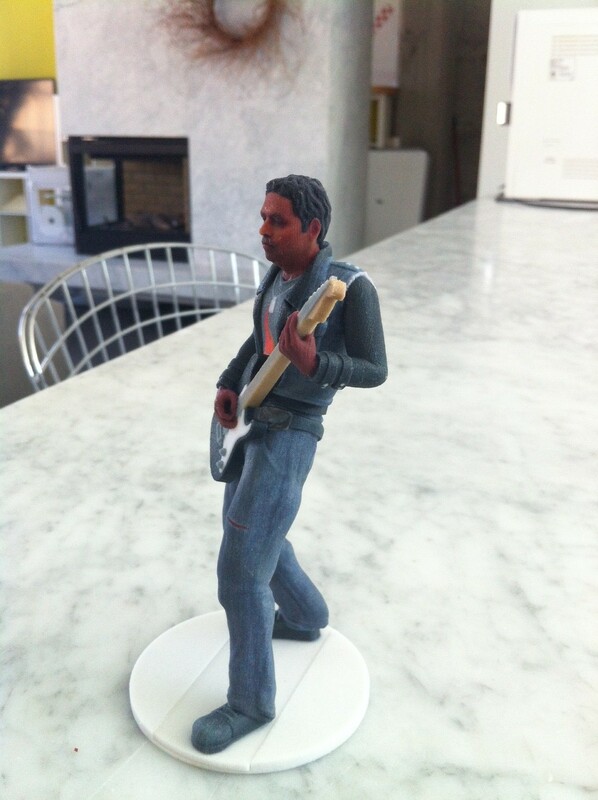 Click here to create a 3D printed figurine of yourself or someone else.